We’re here, we’re queer and we make radical books! Reflection Press was founded in 2009 by Maya and Matthew. Our Story: When we started Reflection Press we imagined it growing steady like a tree. We wanted it to grow so that it would last. We began deep in the unknown, sending out shoots, trusting. Combining Matthew’s agility with programs and puzzles with Maya’s work in children’s books and teaching, the Press took root. Maya has illustrated over 20 award-winning multicultural children’s books and written 3. 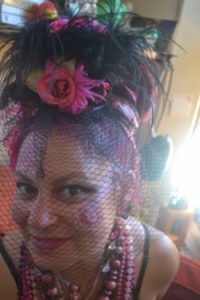 Maya’s children’s books led her into the classroom and the opportunity to work primarily with children of color and art. In the field, she developed a curriculum of meaningful creativity linked to literacy. Our first book was an educator’s guide called Claiming Face, published in 2010. We’re happy with the book and its journey out in the world. It can be found in university courses, libraries and has been used in schools from Pre-k to high school with a pilot program at an elementary school in South Carolina through the University of South Carolina. 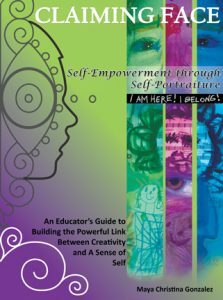 Our first published work connected creativity with social justice and the power of the individual to create change, especially within themselves. It also established our great faith and trust in kids to create all kinds of change. That same year we published the Gender Now Coloring Book. 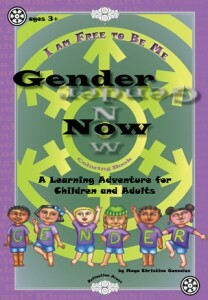 This book introduces The Gender Team and explores history, culture and nature to reflect gender variance. In 2011, we published the school edition. Besides being used in homes and after-school programs, Gender Now has been used extensively in trainings and presentations throughout the country by Gender Spectrum and is featured in Jaime Naidoo’s Reference and Resource book, Rainbow Family Collections. Gender Now provided greater inclusion in an evolving social justice curriculum. In 2012, we found ourselves working more with organizations than schools and offering publishing and design support for other organizations to do what we did. Gender Spectrum stepped forward and asked us to support them in developing and designing their K-2 teaching materials, as did Moving Forward Institute, who we supported in designing and publishing 8 books of their Reading with Relevance curriculum. That same year we held a mini-conference called “Radical and Relevant Children’s Books: fostering a publishing revolution from within” out of our desire to share what we had learned with our communities and to support PUBLISHING BY and for THE PEOPLE. We also published I See Peace, after holding a small Kickstarter campaign for it. Affiliated with Reflection Press, we also opened up an online learning site in 2013, called School of the Free Mind. 2014 found us releasing our biggest and most involved course, The Heart of It: Creating Children’s Books that Matter – a course, inspired by our mini-conference and one Maya’s dreamed of for some time now, finally finding its wings to get up and out into the world and inspire more people to create radical and relevant children’s books from the heart! Being a creative duo who loves to make books (and videos and classes and art), the outreach part is often (almost always) put off for another day. We’re really challenging ourselves to reach way out and find the support we need to make our dreams a reality. We always have more projects and ideas than we have time for, but we continue to trust that we will grow steady like a tree and the work that is meant to get done, will. We’re still at the stage of only publishing our own books, but in time, our hope is to bring on more authors and artists with similar spirit to Reflection Press. In the meanwhile, we offer support and resources about what we’ve learned. Publishing by and for the people is a reality now like never before and we believe this is glorious! We don’t believe we can change the world. We believe we ARE changing the world. The world is changing now and we’re right here, in the mix. think big thoughts, make art, be free! Let your life be the revolution. Matthew is a videographer, webmaster, designer, accountant, manager, builder, architect, editor, co-founder, publisher, and just about anything else needed to keep the Press running. Matthew came from Philly to San Francisco to intern with COLAGE, a non-profit organization for children with one or more LGBT parents. 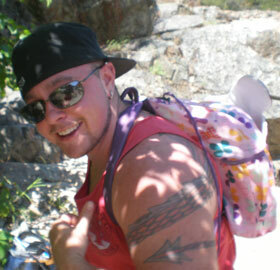 Growing up with a gay father, isolated in the midst of homophobia, taught Matthew the importance of working to include everyone and inspired his activist spirit to take root. Later, he transitioned from project manager for a large architectural firm in SF, to the structural and management strength of Reflection Press. Everything he has learned about being an independent publisher he has taught himself through tons of research and lots and lots of fast learning! And he loves to climb trees, be silly and have a lot fun while raising the next generation of world changers with his best friend and partner, Maya!